Gardening can be a lot of fun especially when you start reaping the benefits from all that work. Some of the hardest work, but greatest reward when planting your garden is planting perennials. 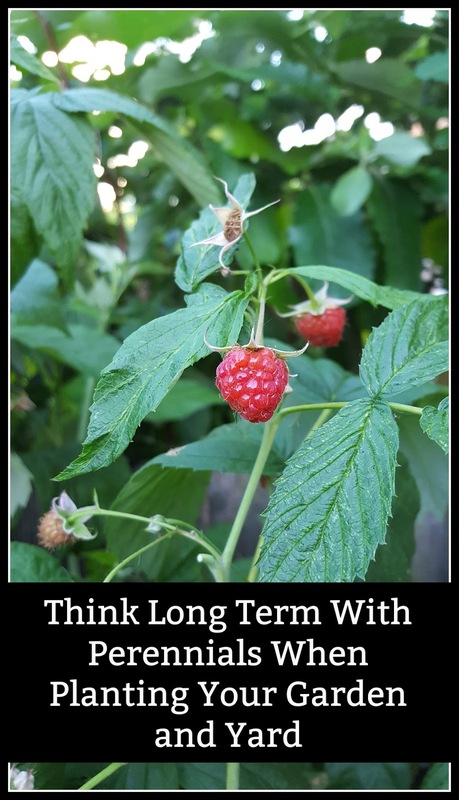 Perennials come in several forms, but what you are looking for are plants, bushes, and trees that will produce food every year. From a prepping standpoint, you want a constant food source. Most perennials are not easy to kill or hard to establish. However, if you are thinking long-term, you want to start these perennials now to get them established. There are perennials can take 1-3 years to produce food. Trees can take even longer to produce food. You want to get them in the ground this summer and fall. From a homesteading standpoint, growing your food is always a delight. There is always a satisfaction in providing your food and reducing your independence on the grocery store. Planting perennials are always rewarding in that you reap what you sow every year. From a frugal living standpoint, growing your food means less money you spend on groceries. Win-win! Shopping from your garden is always better than shopping at the store. Now, I have nothing against annuals. You will see a lot of annuals in my garden. However, I want to know I have a constant source of food every year. It will not be enough to sustain us but will be enough to add to a meal. I can also expand my perennials and plant more using cutting from the original plants. A lot of perennials will do their own spreading of roots and start new plants on their own. What perennials should you be planting? 1. Raspberries. They are some of the easiest perennials to grow. Their root system will cause them to start new plants and can double or triple within a year of planting. They are easy to maintain and easy to transplant. You should have fruit in 1-2 years. 2. Rhubarb. Again, very easy to grow in most areas. They do like a lot of sunshine so find a good sunny spot for them. Every couple of years, I like to feed my plants with composted manure in the fall to keep producing well. They will spread a little so give them some space. You can start harvesting them in the second year, but it is best to wait until the third year to harvest. 3. Blackberries. Pretty easy to grow. Keep them trimmed back to three feet so they become bushy and will produce better fruit. You should have fruit in 1-2 years. 4. Blueberries. These can be difficult to establish. You will want to make sure you have acidic soil or that you mend your soil to be acidic when you plant them. If you know you want to plant them next Spring, I would work on that blueberry bed now so the soil is good for them. They will need some pruning as they get bigger. They will fruit in 2-3 years. 5. Elderberries, strawberries, and other berry plants. There are many different kinds of berry plants and I encourage you to look into them. They are all delicious! Most of them will take 1-3 years to get establish and start producing fruit. 6. Asparagus. These plants will need a little work to start growing, but they are worth it! They come as crowns that you will need to plant 8-12 inches deep. I would also add a good layer of compost in the hole before you plant them. You will be able to harvest asparagus in the third year. Asparagus can last as long as 20-30 years in one spot. 7. Herbs like lovage, sorrel, mint, thyme, sage, and more. Most perennial herbs will come back every year if they are cut back in the fall. Herbs are so multi-dimensional that you do not want to be without them. Some herbs can be difficult to start from seed so investing a plant or getting a transplant may be worth your while. Check your gardening zone to see what herbs will grow best in your area. 8. Garlic and walking onions. Both plants produce bulbs that you can plant again in the fall for a crop next summer. Both are easy to grow and need very little tending besides a good layer of mulch in the fall to protect them from winter. 9. Fruit trees. These will take a few years to grow and produce. Realistically you will not see any production from fruit trees for at least three years, but more than likely it will be 5-7 years before any fruit falls. Like any other planted tree, you will need to water the trees well for the first year to get them established. You may also need to protect them in the winter from the elements, deer, and rabbits. 10. Nut trees. These are similar to fruit trees. They will take a few years to grow and produce. You will need to water them well in the first year to establish them. And you will need to protect them. 11. Greens like kale, radicchio, watercress, and stinging nettles. Many people think that greens are just an annual, but there are varieties that are actually perennials. I know from experience that kale will come back a second year if you forget to pull the plants in the fall. I was still harvesting kale in December that year! 12. Dandelions. Okay, I realize 99% of you will never have to plant dandelions because they grow rampant around you. However, they are overlooked for their benefits. The greens are good in a salad. The flowers make jelly, wine, teas, and salves. This is a general list, but there are many other perennials you can plant. Some people are able to plant artichokes which can be a perennial, but artichokes in northern Iowa do not always work out. Look up your gardening zone and figure out what would be best for you to grow! Growing perennials helps you to be more self-sufficient, save money, and gives you a continual food source. What is not to love about perennials?